Costa Rica is known for its renewable-friendly policies and ambitious goals to lower emissions. But as Bjørn Utgård and Mónica Araya explain, electric mobility is a key part of reducing greenhouse gases. Public transit, affordable electric vehicles and infrastructure will all be crucial for Costa Rica’s energy transition. Rapid deployment of electric vehicles (EVs) in emerging economies is key to dealing with climate change, and as recent progress in Costa Rica shows, Norway’s mass-deployment of EVs is an invaluable example. The International Energy Agency recently calculated that more than a billion (1,000,000,000) electric vehicles are needed by 2040 to live up to the Paris climate agreement. That means adding an average of more than 40 million electric vehicles (EVs) every year for the next 24 years, or about half of global vehicle sales. A large portion of these EVs will need to be deployed in emerging economies, since this is where most people live and car ownership is quickly expanding. Costa Rica, a small Central-American country of 5 million people, offers early insight into how that can play out. 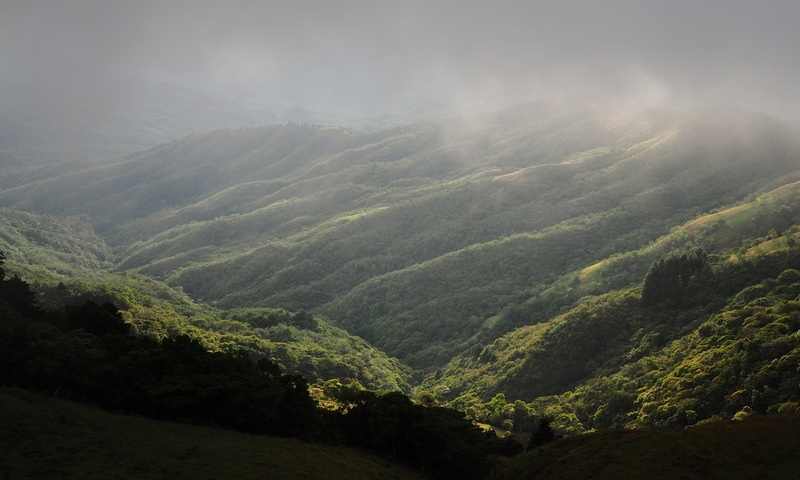 Costa Rica has long been dedicated to environmental stewardship, pioneering rain forest protection and innovative financing mechanisms for environmental services. In 2015, 99% of its electricity was renewable, and large solar, wind and river resources remain untapped. Speak with Costa Ricans and they will tell you “Pura Vida” (literally “pure life”) is not just marketing – it is a core cultural value. In 2015, Costa Rica set a goal to reduce its greenhouse gas emissions by 25% from 2012 to 2030, and Costa Rica is one of only 5 countries whose national climate commitments were rated ‘sufficient’. Electric mobility combined with local, renewable electricity offers Costa Rica a unique opportunity to create local value instead of sending cash out of the country, while also protecting health and improving quality of life. Four in five Costa Ricans live in cities and cars travel a daily average of 35 km, meaning even short-range, low-cost EVs make sense. And since 93% live in detached homes with private parking, over-night charging at home is a breeze. While car ownership is only a third of the level in industrialized nations, it is growing at 5% per year. Increased transportation is generally a public good and a driver of economic growth, but business-as-usual means ever increasing trade deficits – Costa Rica already spends 4% of GDP on importing oil. Increasing fossil fuel consumption also leads to deteriorating air quality in cities. Air contamination in San José, the capital, is already well above WHO limits, and the highest levels are found just outside the country’s largest children’s hospital. Around the world, it is estimated that several million people per year die prematurely due to air contamination due to burning of fossil fuels. One does not have to spend many days in Costa Rica, however, to realize that a push for electric cars on its own is not a complete solution. Road congestions – “presas” in local speak – is already challenging “the weather” as the prime conversational topic, and locals feel robbed of their freedom as they spend hours getting to and from work. While more than 60% commute by bus or the country’s old diesel train, the means of public transportation cannot be described as modern or easy to use. Instead, people aspire to escape get their own cars and motor bicycles, whose numbers are quickly expanding. Electric buses, trams and trains can help create a more aspirational and attractive public transportation system. Given the strong fundamental drivers, it is perhaps not surprising Costa Ricans are highly positive to electric mobility. 87% of citizens surveyed in a consultation by Costa Rica Limpia in February 2016 said they would prefer to buy an electric car, and Assemblea Legislativa (National Congress) is deliberating law proposals to reduce sales and road taxes for electric vehicles to zero (compared to almost 50% for fossil fuel vehicles), as well as measures to promote installation of charging infrastructure and other incentives. “The driving range is too short”; “there is no charging infrastructure”; “EVs have low power and struggle with hills”;“battery production and recycling are environmental problems”; “EVs are very expensive”; “installing home vehicle charging equipment is very costly”; “we don’t have enough electricity for EVs”. While these misconceptions exist in part because it takes time for advances in electric vehicle technology to be widely known, they are also being propagated by incumbent business interests seeking to water down or outright block congress’ EV incentive package to protect existing business. Supply and consumer choice is growing but still lacking. Only three EVs are currently on sale (BMW’s i3 and X5 plug-in hybrid (PHEV), and Mitsubishi’s Outlander PHEV), and distributors are reluctant to invest in offering EVs until Congress passes the incentive package. Even if consumers are positive to EVs in principle, car distributors and sales representatives find it easier to make money selling models they have sold earlier and that requires less customer education and convincing. Pioneers that nevertheless decide to actively develop the EV market must then convince their own OEMs to deliver sufficient volumes, which remains an open question. To overcome these barriers and help Costa Rica deliver on its e-mobility potential, Costa Rica Limpia and ESCOIA are closely engaging with Costa Rican stakeholders, along three inter-connected pillars. 1. The first is empowering citizens and organizations to make electric mobility choices. This means reaching out via traditional and social media, events and talks to educate people about EVs. Success stories like that of Norway, where e-mobility is now an established mass market reality, offer people of all walks of life a chance to envision what e-mobility will look and feel like for themselves. Also important is arranging for extended EV test drives to let people experience the benefits of EVs in person. As the success of Norwegian environmental NGOs and the Norwegian EV Association shows, third parties can play crucial roles in providing impartial information to consumers and organizations considering electric vehicles. 2. The second pillar is working with and empowering change–makers to increase their e-mobility offering. «El Futuro es hoy» – The future is now. The first Electric buses are already on Costa Rican Soil. The primary objective is developing and disseminating accurate information on the opportunities offered to ambitious e-mobility initiatives, and provide ideas and strategies to guide decision-making. For example, demonstrating how public interest in e-mobility can be transformed into actual consumer behavior and purchasing decisions helps convince car distributors and sales representatives that an attempt to sell EVs will eventually pay off. 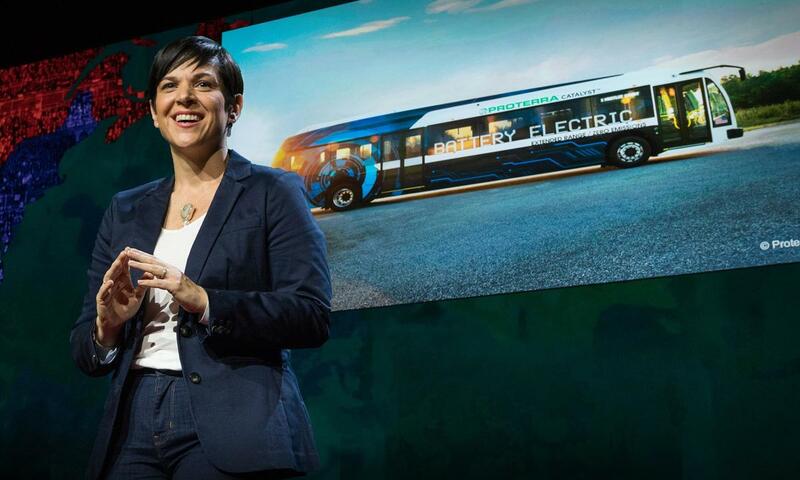 Similarly, bus and transportation companies can be convinced to venture into electric vehicles if they are shown how their peers in other countries have succeeded, and how an intelligent e-mobility strategy can make economic sense. They also need support in navigating the regulatory environment, adapting rules and methodologies that were written with fossil fuel vehicles in mind. 3. The third pillar is developing a sustainable e-mobility support system. First, congress must reach consensus on policies to promote electric mobility. The proposal under consideration, inspired by Norway’s successful “all-of-the-above” EV policy, aims to put 100,000 EVs on the road within 5 years. While there is consensus on the ambition to promote EVs, differences remain on whether to increase incentives for non-plugin hybrid vehicles. Breaking through the stale-mate means busting myths and providing accurate information on EVs to law-makers. Secondly, developing public EV charging infrastructure and services requires clarification and adaptation of market rules. Again, experiences from Norway and other pioneering EV markets are instrumental in demonstrating how to sustainably establish and scale EV charging services. For example, paying for EV charging by the minute instead of by the kWh is a proven solution for overcoming restrictions on reselling electricity. The international experience also shows how allowing diverse public and private entities to play their part can quickly expand charging infrastructure. Thirdly, making sure that the deployed EV charging infrastructure is intelligent is important to avoid electric vehicles becoming a liability on the electricity grid. Since Costa Rica’s peak electricity demand is just 1/16th of the equivalent for leading EV markets such as Norway and Quebec, the grid impact of EV charging in Costa Rica will be felt much sooner. For example, if plug-in EVs make up 25% of Costa Rica’s expected vehicle fleet in 2030, evening peak demand would increase by 35%. Intelligent charging solutions would instead allow automatic shifting of vehicle charging load to off-peak hours, thereby reducing or eliminating the need for grid reinforcements. The Norwegian success story is invaluable to the promotion of e-mobility in emerging markets. As consumers and decision-makers in emerging markets seek to overcome doubts, resistance and practical obstacles to electric mobility, they are taking guidance from Norway’s experience. By showing that mass-deployment of electric vehicles is both sensible, attractive and doable, Norwegian e-mobility pioneers are not just doing themselves a favor, they are also setting an example for the world to follow. Bjørn Utgård is a co-founder and partner at ESCOIA, an international clean energy consulting and project development company. Mónica Araya is the founder and director of Costa Rica Limpia, a citizens’ organization dedicated to clean energy and transportation, and Nivela, an international think-tank focused on economic development and climate responsibility. Their site on electromobility (in Spanish) is available here. Norway is (depending on the year and the metric) in the top half-dozen richest countries in the world, sometimes the richest. Costa Rica is about at the world average in GDP per head. In a way, it’s a more important model. Their solutions can be taken as a starting-point by half the world. It’s a shame that Tesla and Nissan aren’t in there: the national market is tiny, the potential spinoff enormous. Sustainable mobility has to be brought all over the world, not only in Costa Rica. It’s important to decrease the level of pollution caused by traditional and old vehicles. This can be possbile by the use of: car sharing, electric vehicles (car, bikes, motorbikes) and public transport. Previous PostDoes the French nuclear fleet ramp to make space for solar and wind?